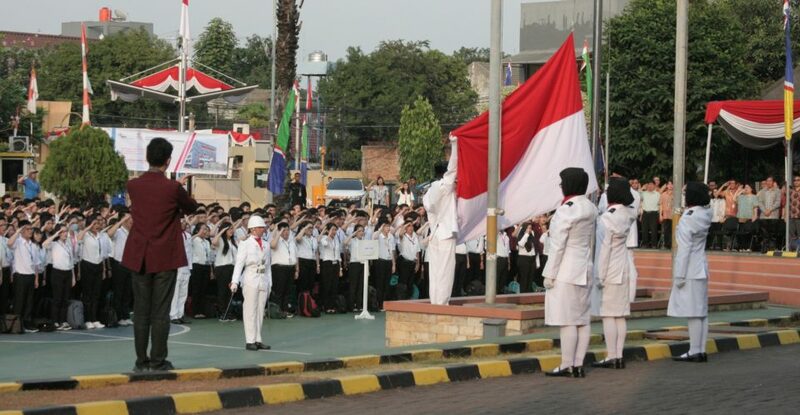 BINA NUSANTARA held the 72nd Independence Day of Indonesia Ceremony on Thursday, 17 August 2017, at BINUS UNIVERSITY Kijang Campus, Jakarta. The ceremony was attended by the Board of Management of BINA NUSANTARA, the Rector of BINUS UNIVERSITY, faculty members, employees, and the Freshmen Enrichment Program (FEP) participants. In his speech, Mr. Bernard Gunawan, the CEO of BINUS Group, invited all BINUSIANs to raise their patriotism and nationalism. “With the celebration of this Independence Day, I wish we can raise our patriotism and nationalism to our beloved Indonesia, and also raise the spirit in fostering and empowering the nation,” he said. Mr. Bernard Gunawan said that education is crucial in developing and advancing the nation. Hence, he continued, we need to share our knowledge that we obtained to the others for a better Nusantara. As a knowledge institution with more than 130.000 BINUSIANs, BINA NUSANTARA commits to increase its contribution in developing and serving Indonesia through educational programs. 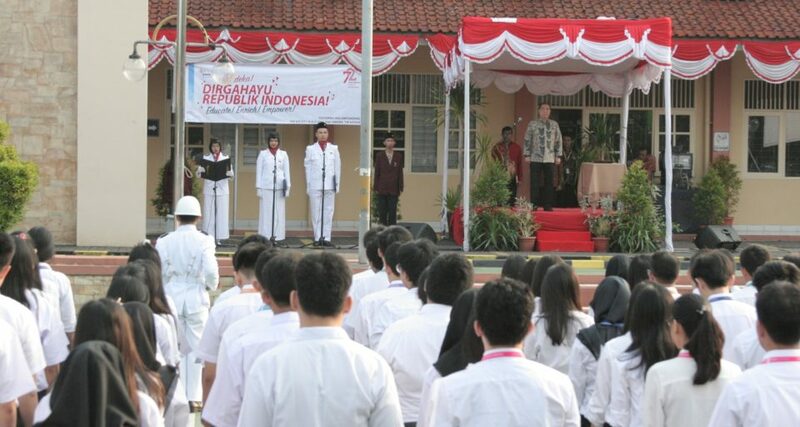 “Therefore, you are all expected to make a real contribution to build a better Indonesia,” he concluded.